(Molecular Resonance Effect Technology) to make Single File Aligned Water? We suggest watching the video below featuring Dr. Howard Fisher, Ty Bollinger and the inventor of the i-H2O unit, Dr. Smirnov, what was involved in the discovery and development process for home production of Single File Aligned Water. 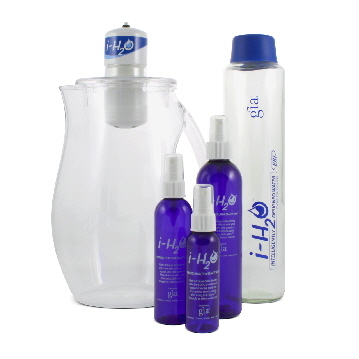 How Does the i-H2o Single File Water Activator Unit Work? In this video to the left, you will learn from Dr. Smirnov that the i-H2O Activation Unit generates noise field oscillations (Magnetic Resonance Effect Technology) that causes clumped, normal water molecules to spread out uniformly into single file alignment. He also discusses the Nobel Prize winning science that taught us about the existence of “aqua-porins” which are essentially one water molecule wide and the requirement of human cells to receive Single File Aligned water for cells to be hydrated. how Single File Aligned Water was discovered? how Single File Water was discovered? how it was proven by a Nobel Prize? how it has worked for others. 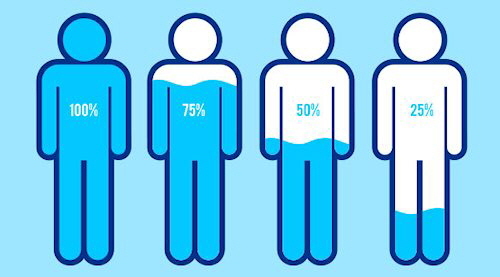 How Can It Be That So Many People (75% of Everyone) Are Dehydrated? The reason people go from 85% hydration to less than 50% hydration as they age is that it takes time and energy to convert water that we drink into single file aligned water that is able to penetrate aqua-porins and go into cells. And, especially, as people age or get sick... their bodies can lose the ability to generate enough energy to do the job that is required to restructure the water into Single File Alignment so that it can go into cells. Cells get water primarily through aqua-porins (water protein channels) that admit only single molecules of water, not clumps. Essentially, water has to be declumped, declustered and “coaxed” or “pulled out” out of chaotic, clustered structures that occur in nature — and that takes energy and time. Doing that work becomes less likely to occur as one’s health declines, either through illness or the process of aging. Even for a child or someone who is healthy, Single File Aligned Water enters cells three times faster than normal water to deliver nutrients or help cleanse the cells. In nature, flowing water is clean water, and stagnant water is unclean water... and that is no exception inside the cells of the body. As water flows through cells the cellular water becomes clean... nutrients are both carried in and wastes carried out. So, being optimally hydrated is always desirable in order to maintain internal cleanliness. That's why drinking Single file aligned Water is one of the absolute healthiest habits one can have, at any age.